The Centers for Disease Control has issued what it calls an “Ebola Guidance for Airlines,” instructing carriers on what to do to help combat the deadly West African virus from spreading. It is the first such guidelines for carriers since the disease, which has claimed more than 700 lives, first began to surface earlier this year. The CDC sent the guidance to all U.S. airlines, including an overview of what the Ebola virus is and what the typical symptoms look like. People who have been exposed to Ebola should not travel on commercial airplanes until there is a period of monitoring for symptoms of illness lasting 21 days after exposure. Sick travelers should delay travel until cleared to travel by a doctor or public health authority. The CDC says airlines should consider using their own authority to deny boarding of sick travelers if Ebola is suspected. 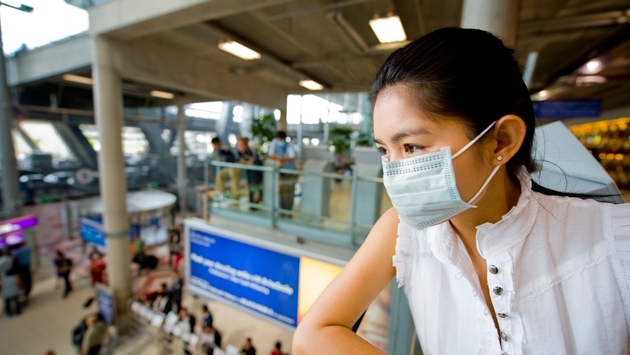 If a passenger already on an aircraft is suspected of having Ebola and is ill with a fever, jaundice, or bleeding and who is traveling from or has recently been in a risk area, the airline should keep the sick person separated from others as much as possible; provide the sick person with a surgical mask (if the sick person can tolerate wearing one) to reduce the number of droplets expelled into the air by talking, sneezing, or coughing; give tissues to a sick person who cannot tolerate a mask. Provide a plastic bag for disposing of used tissues; wear impermeable disposable gloves for direct contact with blood or other body fluids. 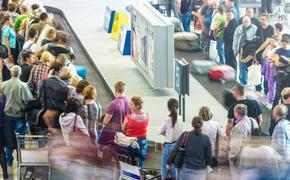 The CDC is also advising airlines to carry Universal Precaution Kits to countries affected by Ebola. The captain of an aircraft bound for the United States is required by law to report to the Centers for Disease Control and Prevention (CDC) before arrival any deaths onboard or ill travelers who meet specified criteria. Any person who thinks he or she has been exposed to Ebola virus either through travel, assisting an ill traveler, handling a contaminated object, or cleaning a contaminated aircraft should notify their employer immediately; and monitor their health for 21 days, watching for fever (temperature of 101°F/38.3°C or higher), chills, muscle aches, severe diarrhea, vomiting, rash, and other symptoms consistent with Ebola. For airline cleaning personnel, CDC says to treat any body fluid as though it is infectious. Blood or body fluids on interior surfaces can spread Ebola if they get into your eyes, nose, or mouth. Hand hygiene is the most important infection control measure. Wear disposable impermeable gloves when cleaning visibly contaminated surfaces. All areas, from lavatories to tray tables, should be thoroughly cleaned.